CCPB is an inspection and certification body for agrifood and no food products, obtained in organic and ecofriendly production. Today CCPB certifies about 8000 companies in Organic production branch, amongst which big retailers, small and medium companies, startups. Many figures show that certification improves the quality of the product and its environmental impact, ensures food safety, improves productive processes and it is an unreplaceable service of trust towards the consumers. In order to carry on its activities, CCPB has all the Authorizations & Accreditations. In these we count Italian Ministry of Agriculture Forestry and Food Policy (MIPAAF) accreditation for Regulation CE 834/07 for organic agriculture, the accreditation in compliance with rule UNI CEI EN 45011 and the authorizations in Usa, Japan, Canada, Switzerland, Sweden In Sweden, Uk, Germany, France, Norway, Brasil and South Korea, CCPB offers inspection services for national organic standards. 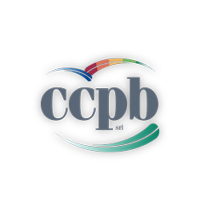 The European Commission also recognized CCPB as equivalent certification body (according Reg CE 834/07), in China, Egypt, Iraq, Lebanon, Morocco, Philippines, San Marino, Syria, Tunisia, Turkey and Mali. CCPB is a partner of EOCC, IFOAM “International Federation of Organic Farming” and Quavera. With the merger of CCPB and IMC (Mediterranean institute of certification), CCPB is leader of five certification companies all over Mediterranean area: Egypt, Tunisia, Turkey, Lebanon and Morocco. Beyond Organic, CCPB operates in compliance with the most important international standards in order to offer an agrifood product certification able to guarantee integration between natural inputs and a reduction of chemical inputs such as Globalgap, Integrated Pest Management, Traceability system in agrifood sector, Vegan products, GMO-free Products, protected geographical indications for typical wine and food and the Conosci il tuo pasto (Know your meal) standard for food service and tourism.